n a bid to scrub out the “I was here” graffiti that litters the route to the summit of Mount Everest, China has vowed to “name and shame” vandals who have been scribbling on monuments and signs around the world’s biggest mountain. Names of anyone found to have penned graffiti will be added to a “bad behaviour list” that is to be made public in Chinese media later this month. The initiative, which coincides with the start of the peak season for tourism on the mountain, will also see designated “monuments” available for those who wish to scribble near the world’s highest peak. “We will set up a blacklist system to punish badly behaved tourists, such as those who leave graffiti,” said tourism official Gu Chunlei. Tourists are required to register their names before climbing the mountain, meaning vandals can be easily identified. Photos taken by the local tourist bureau showed that monuments and signs “were rife with signatures, drawings and phrases such as ‘I was here!’” Xinhua news agency said. Staff regularly cleaned the monuments, but new graffiti “soon pops up in its place,” the report adds. Online pictures showed large stone tablets which display the altitude of nearby peaks covered in mainly Chinese characters. Most of the doodles were inscribed at a base camp located 5,200 metres (17,000 ft) above sea level where climbers and tourists often rest. The camp, in Tingri Country in China’s western region of Tibet, received about 59,000 visitors in 2014. The number of tourists fell to about 40,000 in 2015 as a result of the powerful earthquake that struck Nepal, but climbers have flocked back to the site this year. 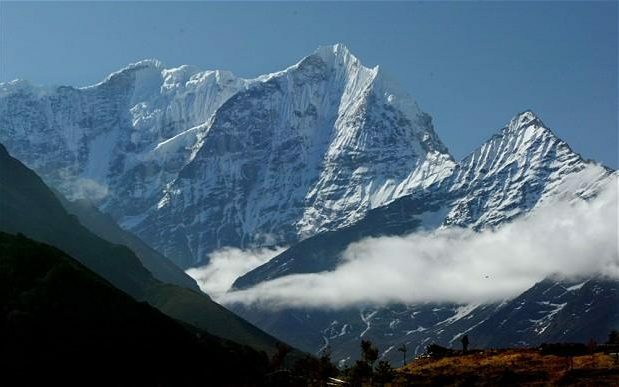 The peak of Everest, which is known as Mount Qomolangma in Tibetan, straddles the border between Nepal and Tibet. A section of China’s Great Wall was selected as a “graffiti zone” by officials in 2014, following concerns over tourists etching their names into the iconic structure. A Chinese teenager was exposed for vandalising an Ancient Egyptian artwork in 2013. His parents were forced to make a public apology after a huge public outcry over the boy reportedly scratching “Ding Jinhao was here” in a Luxor temple complex.